Fall has arrived and not too soon. This last summer was hot and dry. We had two of the hottest days yet on record at the farm. In mid-August we had two days of 118 degrees with days of 117 and 116 on either side. The rest of the week was hovering around 110 degrees. 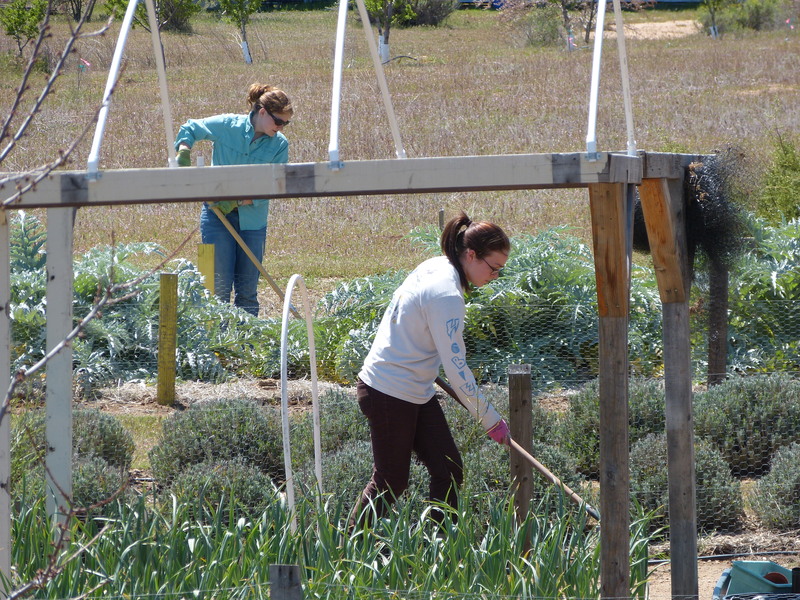 We also had swarms of grasshoppers that wiped out a third of our lavender and gophers that took out three 6 year old trees. 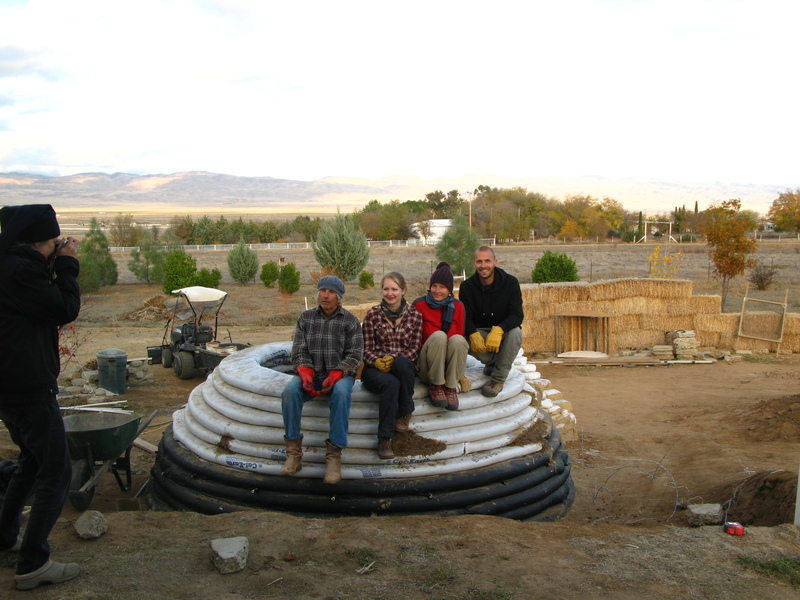 There was so little water, the insects were drilling our pumpkins and melons for moisture. 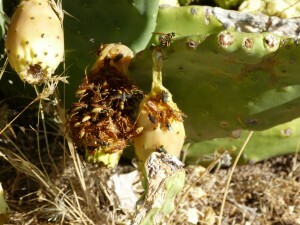 The picture is of wasps sucking prickly pear dry. We did have some great crops that made it through though. The corn was sweet and plentiful, the garlic and onions had a bumper harvest, the kale, carrots and basil were wonderful and the tomatoes and peppers were prolific. 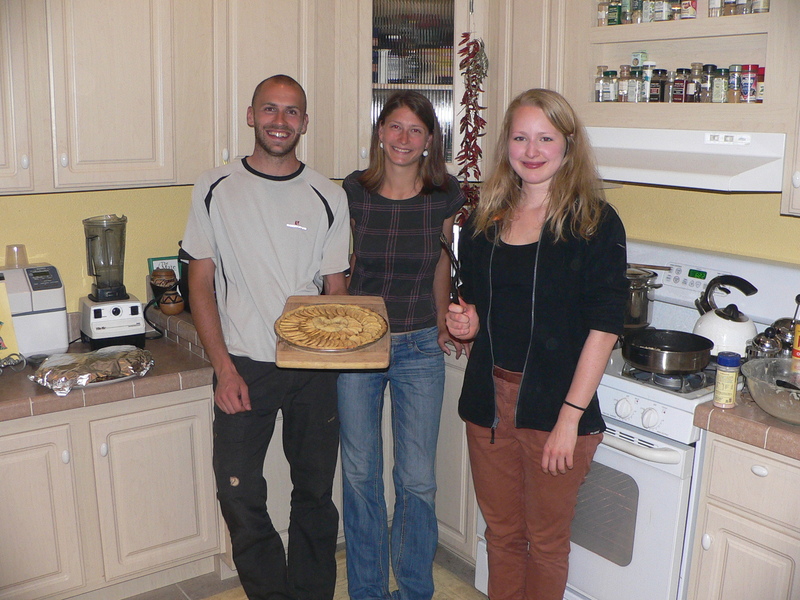 We also did manage to harvest some rather large pumpkins that have made wonderful pies and soups. 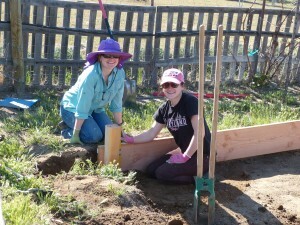 We also made great progress on the root cellar and we finished building our raised beds that now number 12. 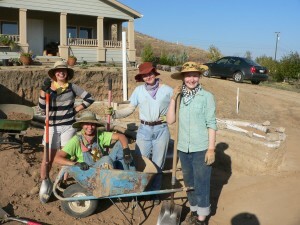 All with gopher proof bottoms and all thanks to our many wonderful Wwoofers that came and shared their time and energy. All in all it was a mixed bag filled with multiple learning opportunities and a new year on the horizon to put them to the test. 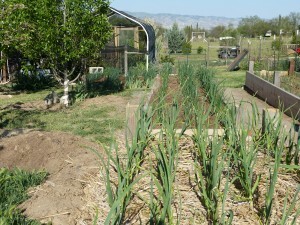 Great progress has been made on the raised beds this Spring with the garlic and onions reaching for the sky. Krysta and Sarha joined us for two lovely weeks and did a lot of weeding, raised bed building, and putting two coats of mud on the root cellar. This year we plan on finishing the root cellar and need to finish the outside mudding, interior earthen floor, and building of the doors. 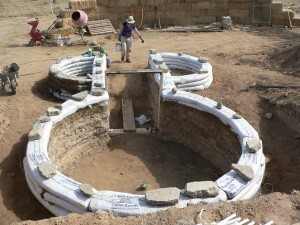 Stay tuned for updates and for more photos, check out our Facebook page by clicking here. A new season on the farm. We had our first Wwoofer of the season join us in the last days of February. 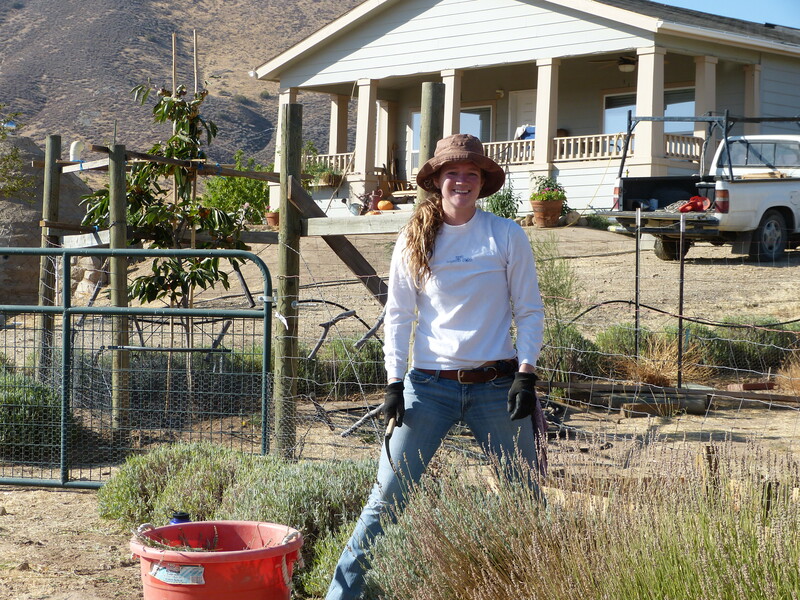 Jessie had received her Masters degree from Bastyr College and was looking for a place to call home and Wwoofing on the way. 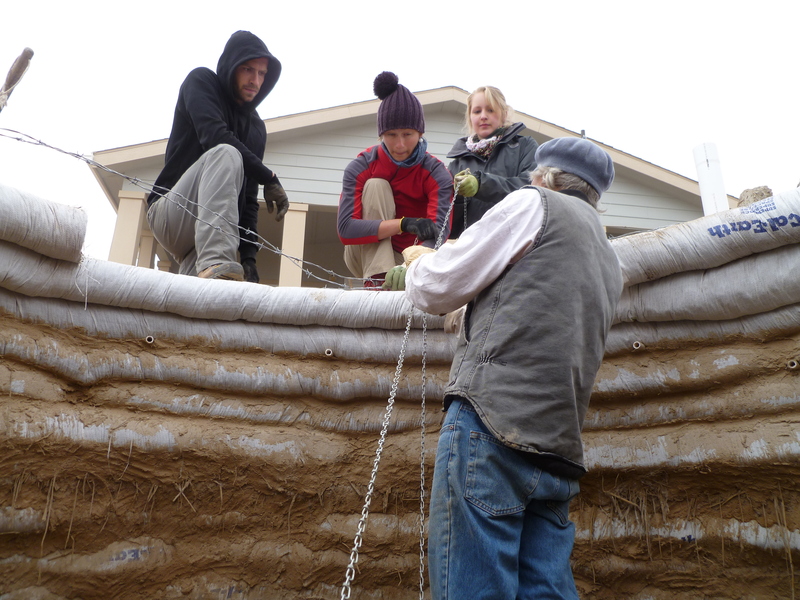 She also had experience in construction and wanted to learn about organic farming – and the Farm needed some raised beds built so we could get our onions starts planted; so she was the perfect fit. Jessie stayed with us for about a week and was a great help and a lot of fun to have around. Isabel and Elizabeth followed and were with us for almost three weeks. “Iz” and “Liz” as they were known, were both from the east coast. “Iz” had just graduated from University and “Liz” was taking some gap time off from her University work to explore her universe. 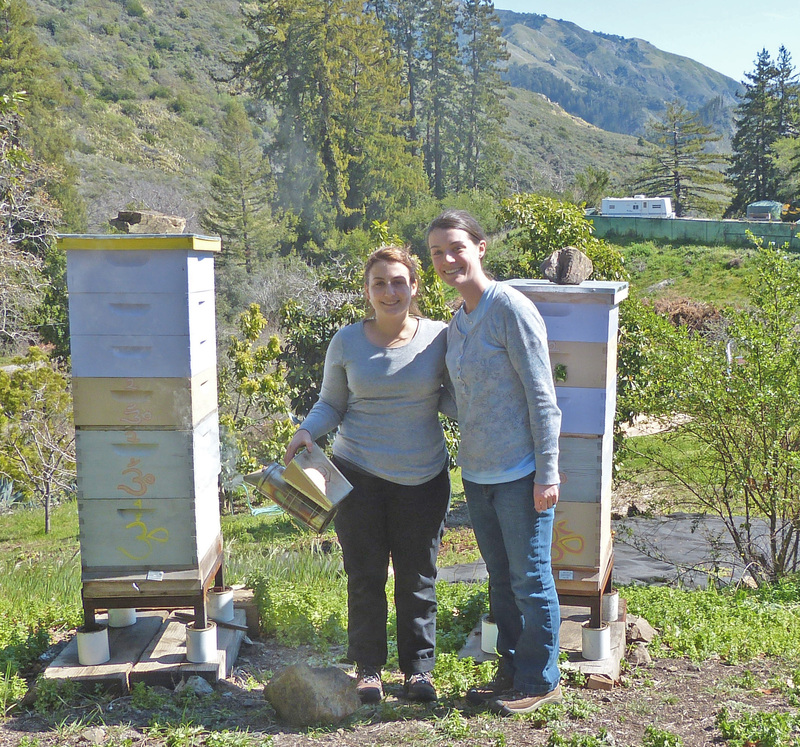 They were interested in working with bees among other aspects of organic farming so we took a trip up the Big Sur coast to check on some of our bees up there. 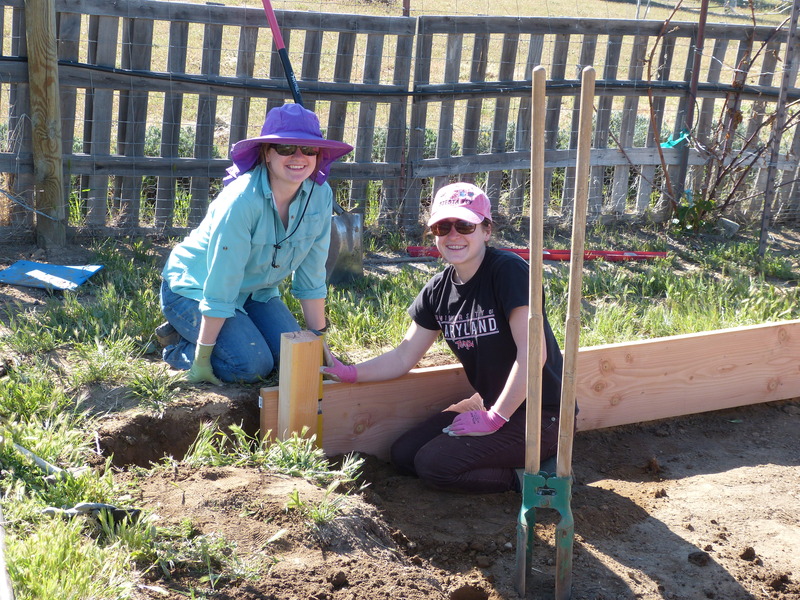 They also enjoyed building some raised beds, and getting in the mud working on the root cellar. This year we are hoping to finish off the root cellar and start stocking it with some good organic fruits and veggies. 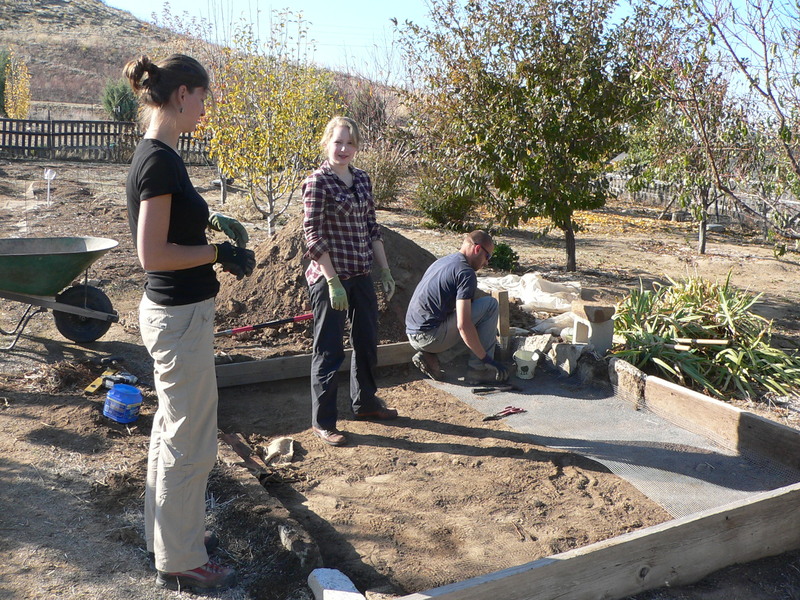 Winter is upon us and the garden beds are at rest. The rains have started and the temperatures have dropped. And the root cellar is topped!! There has been a constant push since last March to complete the root cellar before winter set in and it is now done. All that is left is the finish coats of plaster, a floor and shelving. Veggies are already in baskets sitting on the straw bales that are being used for scaffolding within the dome. 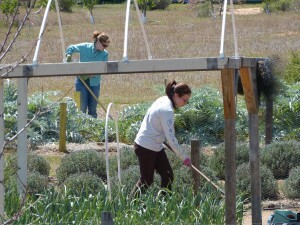 This will be a great place for drying and curing onions and garlic next season too, not to mention hanging our lavender. 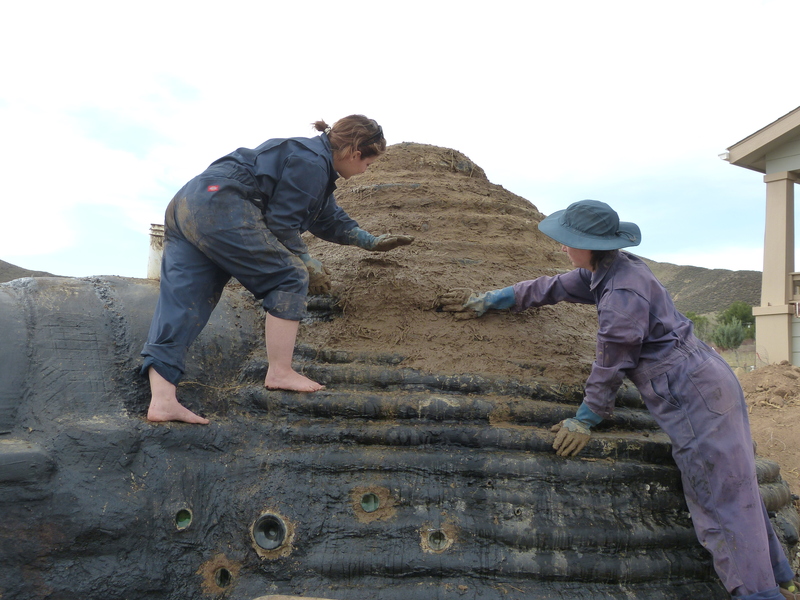 Thank you to all our Wwoofer friends for your help in getting it to this stage of completion. I am still trying to figure out how to manage this site, so I am only posting a few pictures on this post and no newer ones in the photo gallery until I learn how to make separate albums. 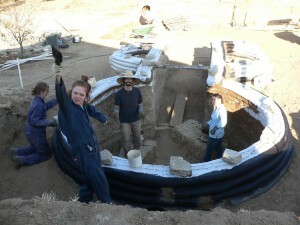 To see more pictures of the root cellar, click on the Facebook page link following. Click here. 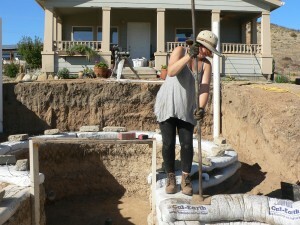 Over the years, we’ve had problems with the gophers eating up our gardens. 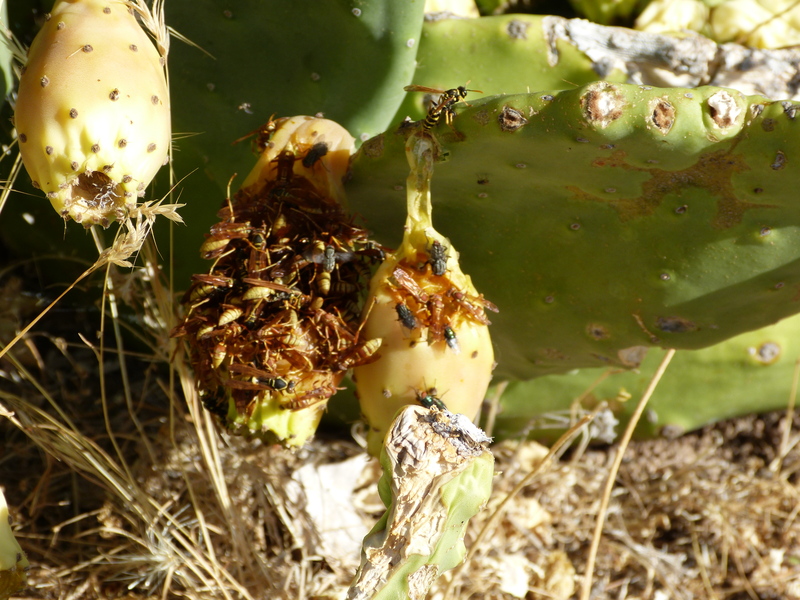 The little rodents live underground and eat the roots of the plants above. 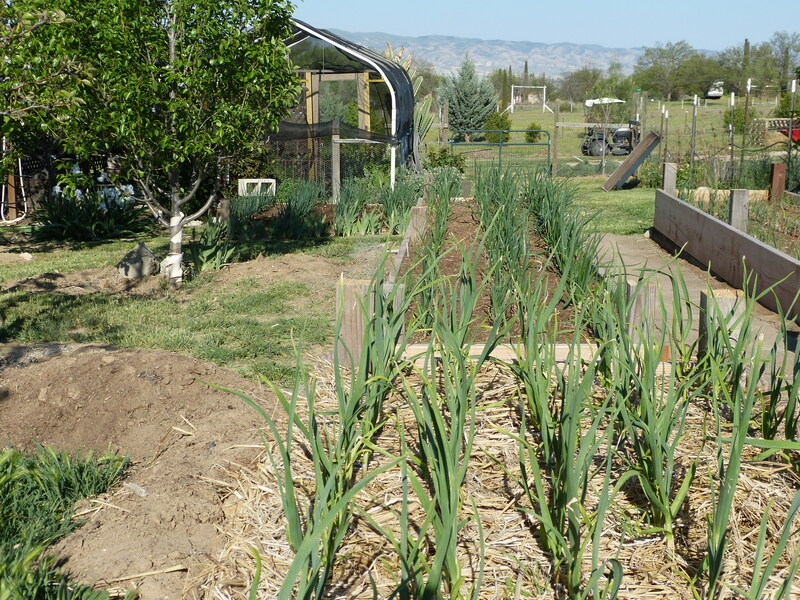 They loved our garlics and onions, ate the melons and squashes, and of course loved the young corn stalks. This fall and winter we are rebuilding the beds and spreading hardware cloth as the first sheet of defense. Below is our international group representing Germany, France, and Slovakia, learning the fundamentals of gopher proofing. This summer the farm has had an international growing experience: We’re growing a root cellar. 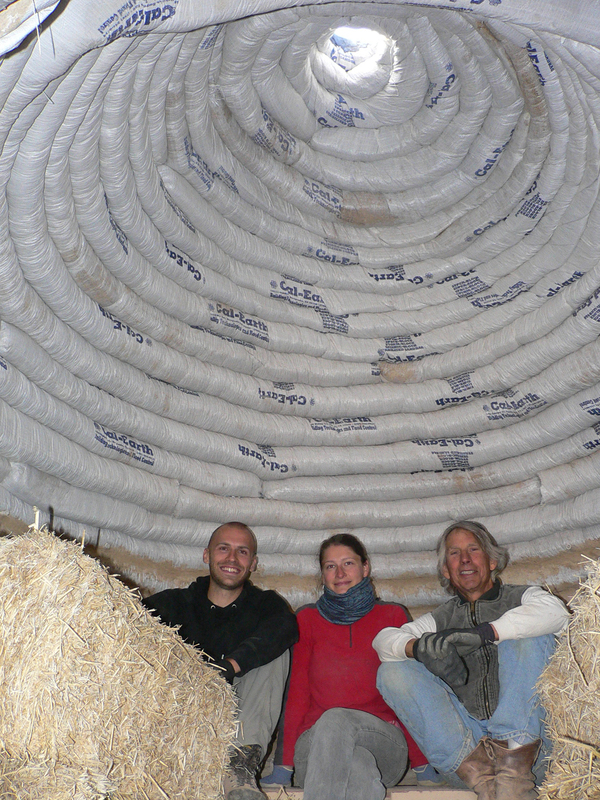 With help from all over the world, including Ireland, Scotland, Germany, France, Slovakia, Iceland, New Zealand, and the USA, the root cellar has reached new heights. The learning and sharing has been cultural to say the least, with shared meals representing the different countries, talks of the freedoms that were either lacking or standard in each nation, and the views and dreams that will help make up a world we can all live in equally. 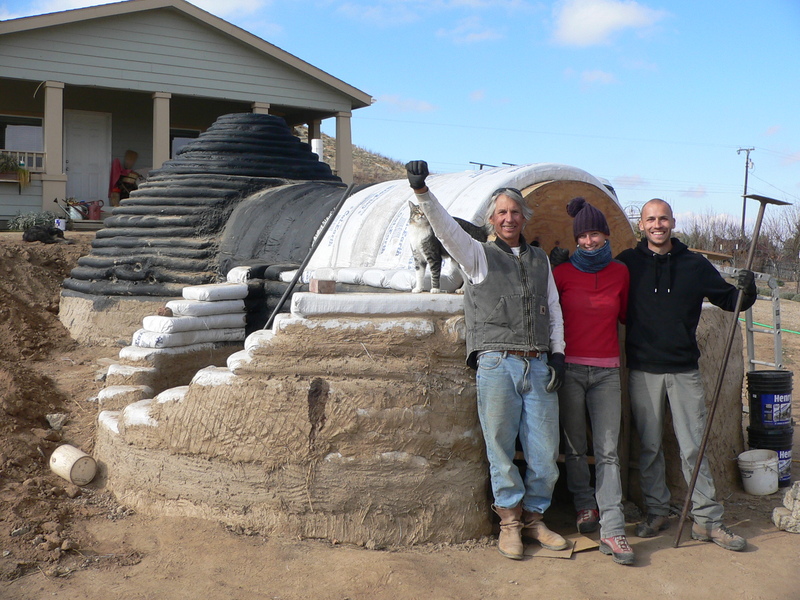 From the farm, we send out our love and gratitude to all the world travelers who have helped in building a sustainable planet as they build to new heights the farm’s root cellar. 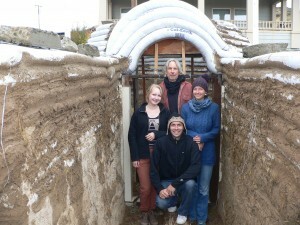 With the help of our Wwoofers we made great progress adding more levels to the root cellar. 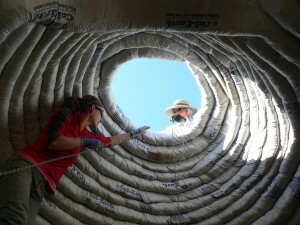 We are waterproofing, backfilling and mudding as we grow. It’s a race to the finish before winter sets in. 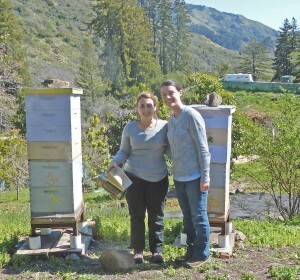 Thank you to all our Wwoofers for your help in this endeavor. Finally, new news!! We did have a great harvest with dry farmed watermelons. This was the first year we tried dry farming and what a success. You would think that watermelons, being so juicy – and well, watery, they would require copious amounts of watering, especially in a dry, hot arid environment like we have during the summer months. But that was not the case. With some instructional help from another local farmer, who dry farms not only watermelon but also corn and tomatoes, I started my first attempt. 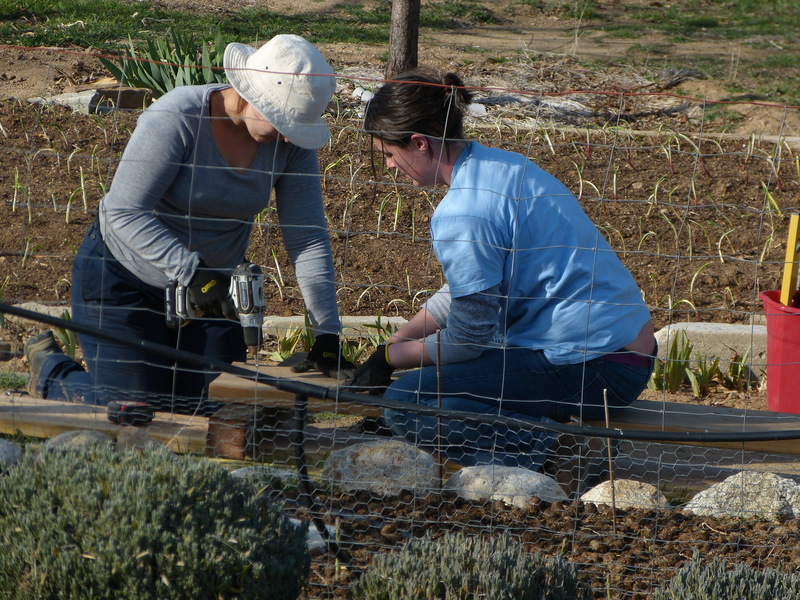 Earlier in the year, around the end of March or early April, I started various seed start for planting in the early summer months when the soil gets nice and warm. 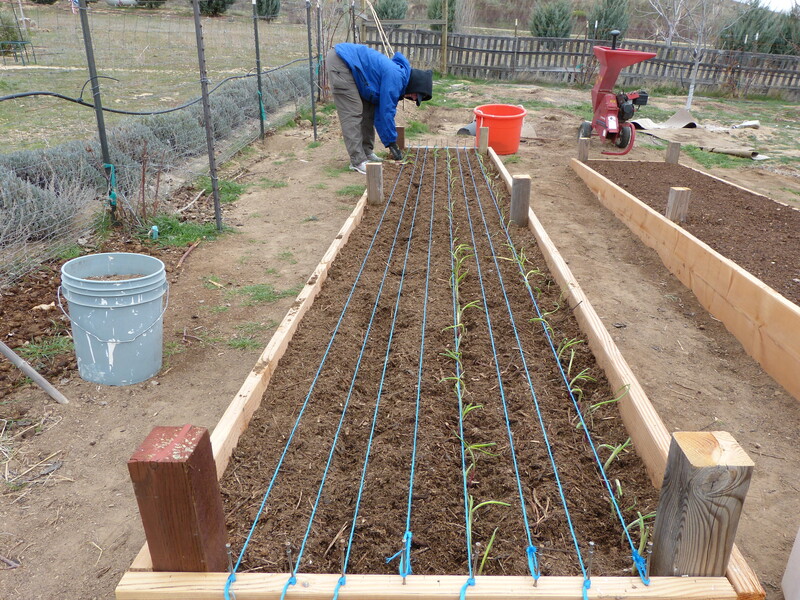 Things like peppers, tomatoes, corn and melons, like the heat to get started. I had started several dozen watermelons starts with the thought of maybe dry farming them but after talking with Quill, the other farmer, I soon learned that would have been a big mistake. To start a dry farmed seed, you plant it directly into the soil. If you plant a seed start with out watering it, it will soon die because it’s root system had become use to water from the beginning. So direct seeding I did. I then stretched some chicken wire around the planted area to keep out the rabbits. I then forgot about them. I planted my other watermelon starts in the garden with some other watered melons for a comparison. After a few weeks seedlings started to emerge from the dry farmed area. I had planted nine plots of seeds with 5-6 seed in each plot. All of them came up!! And they all started producing flowers and soon melons. They were just as sweet and juicy as the watered melons but with out the worry of having to water them. What a way to go. 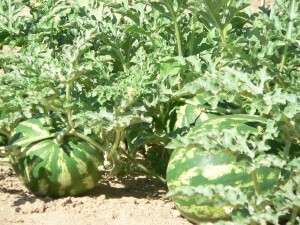 Next year I will try other dry farmed plants but check out the photos of the melons. Makes you want to take a spoon to them, even in the chill of a fall afternoon. For cooling off and working out. 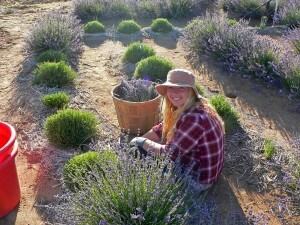 Wwoofer Katelyn hanging lavender to dry. With only one week of temps in the 110+ range, the summer of 2011 has been a mild one so far. 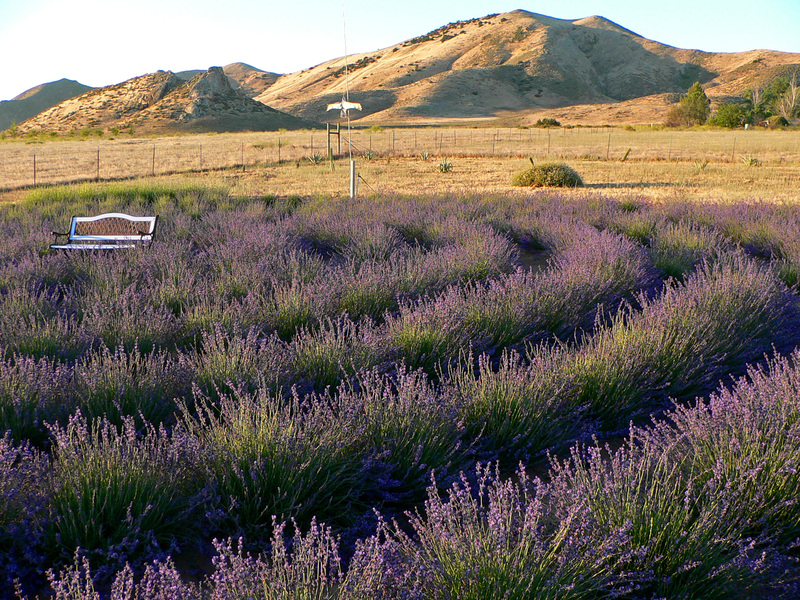 The lavender was beautiful and abundant, and the bees loved every blossom they visited. Again we had some great help from our Wwoofers and they seemed to find plenty of time to relax. 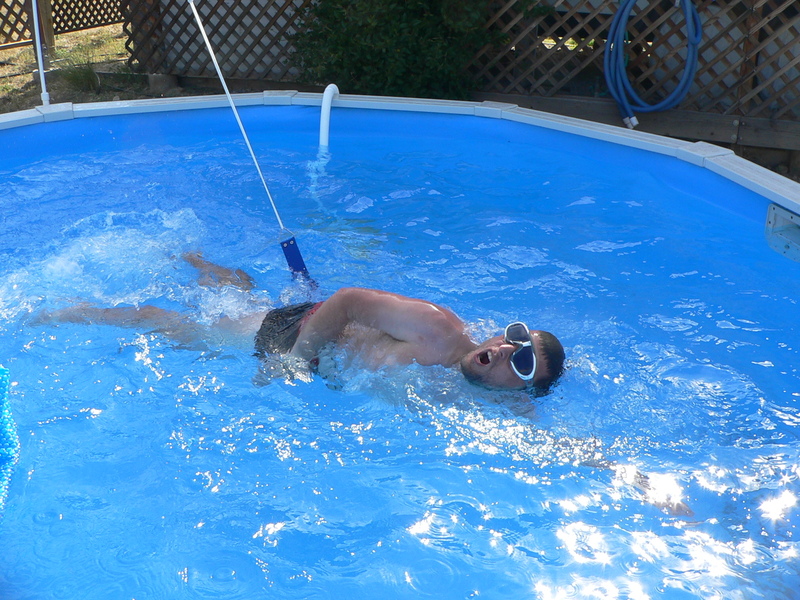 The pool has added a whole new dimension for all of us. 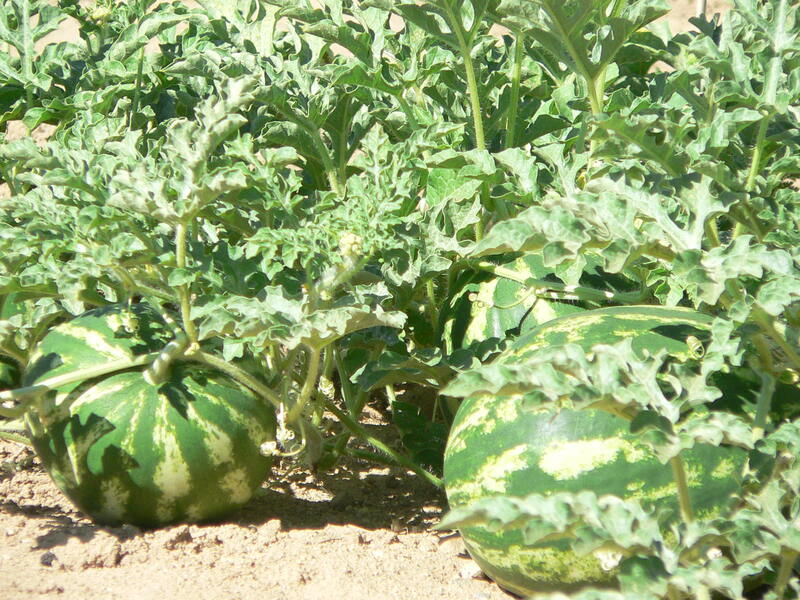 Next post will have a report on our dry farmed watermelons. Unbelievable is all I can say. Lavender harvest of the Labyrinth. Wwoofer Katelyn infused in lavender.Hand picked with love. the flowers in our other two lavender beds and all the different kinds of melons, squashes, and veggies we have in bloom now. 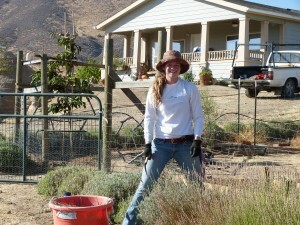 The pictures show the harvest, with Wwoofer Katelyn helping out. We couldn’t have done it with out her this year. Now take a big whiff, you can almost smell it from where you are.